This checklist does not diagnose autism, it rather evaluate the risk for autism. Afterwards if parents are continuously concerned about their child’s behavior, they should seek help for and evaluation with a developmental pediatrician, or a psychiatric, or a psychologist, or a behaviorist. Read below and make sure to scroll all the way down to see the flow chart. Take your time to read and think about the answers and don’t rush into a Yes or No. If you and your health provider have concerns and wish to have further screening, you may obtain a free developmental assessment through your state department of health. 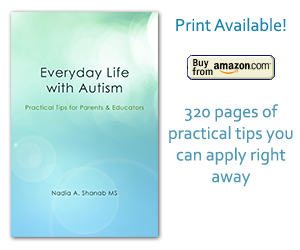 Read more about exams and test for autism here. And one more time: Early intervention is key to success and best results, act promptly. To learn about autism signs read here.